Staying in is the new going out apparently. I rarely go out at night myself, preferring a DVD at home on the sofa with my family and homemade popcorn. Yes, I’ve become a bit old and sensible. 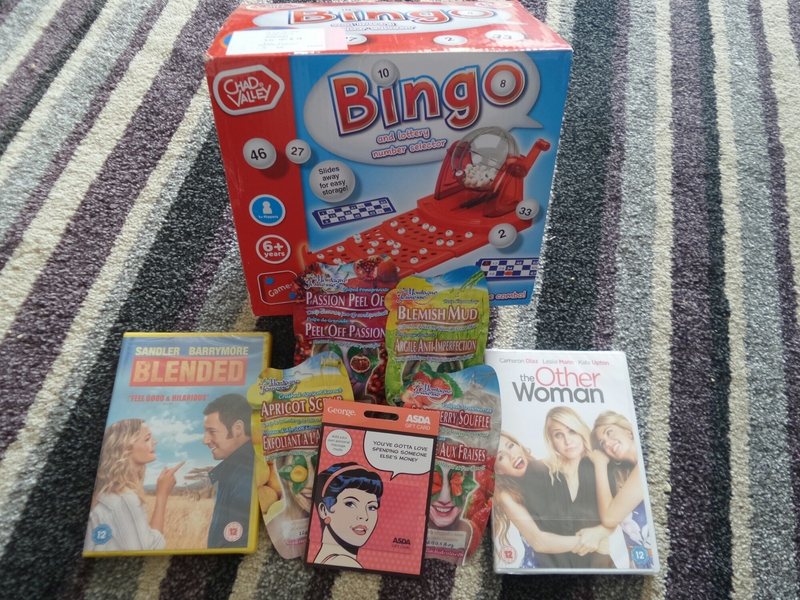 · ‘Blended’ and ‘The Other Woman’ on DVD. · A bingo board game. 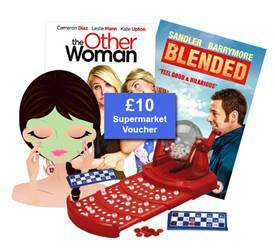 · A £10 supermarket voucher for a shop of your choice. I’d suggest buying popcorn and sweets with the £10 and stick your feet up on the sofa with some mates. Maybe some mugs of hot chocolate and marshmallows. This prize bundle is kindly being provided by PaddyPower bingo. Uk only, over 18. Closing 11.59pm 7th May 2015. 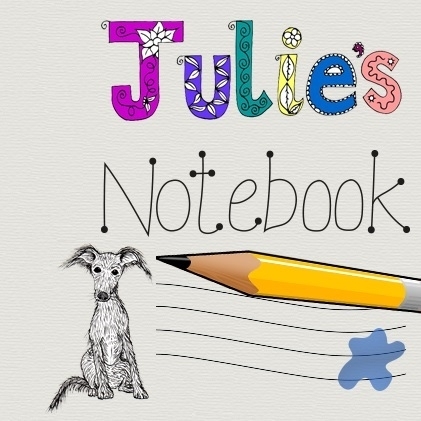 The prize will be sent by a PR company on behalf of PaddyPower and JuliesNotebook – by entering you accept I will tell them your details ONLY if you are the winner. Men are very welcome to enter this competition even though it’s aimed more at ladies. No automated/robotic entries will be valid. I reserve the right to remove invalid entries, for example you say you commented but haven’t. I would invite my best female pals round, and also my adult daughter who is my best friend of all. My group of best friends and my sister – we would have a fab girly night! I woul invite my mum, sister, and two sister in laws around to wach a movie and order a takeaway whilst the mem babysit all the little ones! I think my last girl’s night in was at my sister’s home when she held an Anne Summers party! Laura recently wrote… A family road trip with Fiat 500L. Mellissa Williams recently wrote… 5 Things No Summer Holiday Would Be Complete Without. My last night out was a dinner party over a friends. Lovely! I honestly don’t know who I’d invite over for a night in. I haven’t really had girl friends for years, so I guess it would be my husband (and maybe inlaws). Man, that’s a bit depressing. Just the Mummies from my baby group for pizza and a glass of wine or two! Louise Fairweather recently wrote… Cinco de Mayo with Santa Maria.